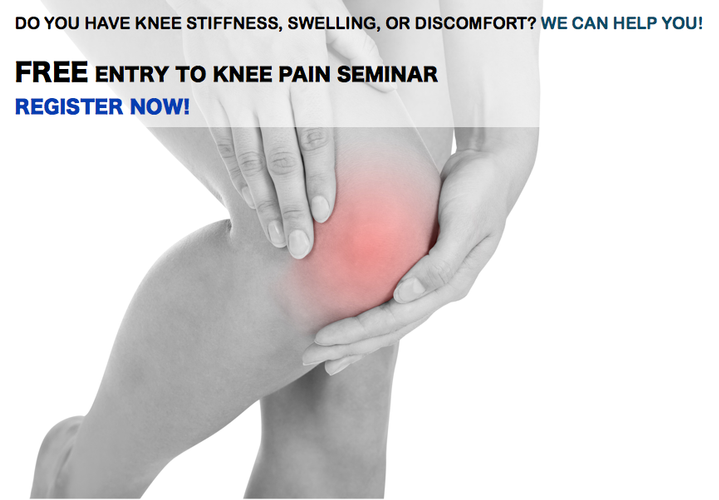 Do you have pain, swelling, stiffness, or discomfort in your knees? Get some relief today! Get the facts about the most common myths on osteoarthritis, and learn what you can do to keep your joints happy and healthy for years to come! 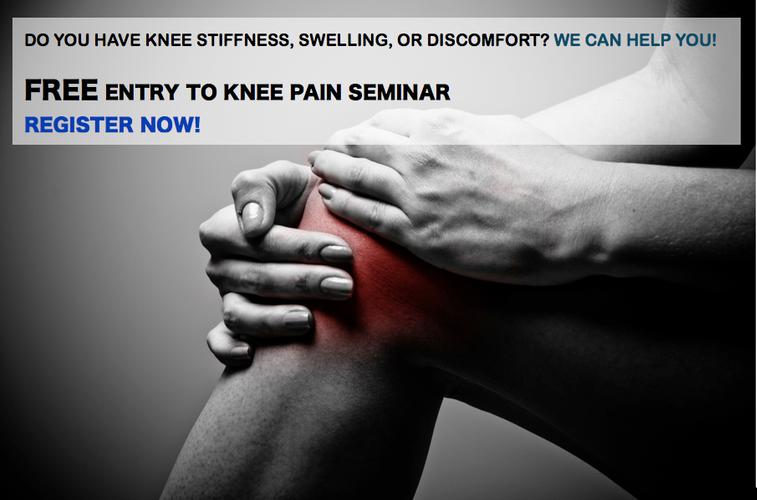 Get current on various types of non-surgical treatment for the 3 stages of knee osteoarthritis. There will be a sharing session on MAKOplasty Partial Knee Resurfacing as well. 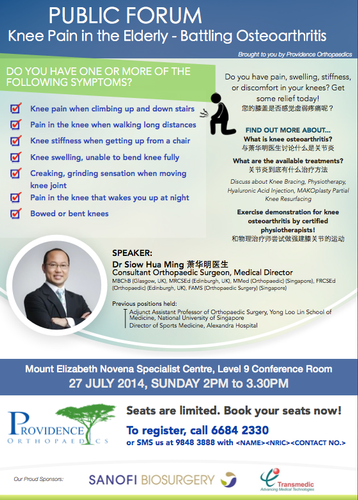 Participate in a hands-on demonstration of exercises to relieve your knee pain by certified physiotherapists!